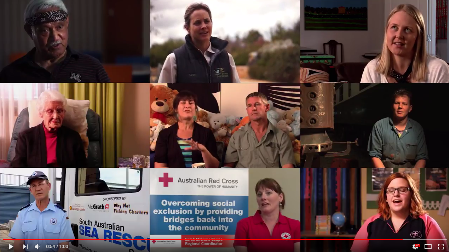 Applications are now open for the Community Voices program, which offers the chance for community organisations to get free promotional videos made. The short documentaries and online advertisements are created by filmmaking and media students from Flinders University through a partnership with the Department for Communities and Social Inclusion. Non-profit and incorporated organisations have until 20 October to apply. The aim of the program is to help community organisations market their services and recruit new volunteers, who are vital to the operations of many groups. It also gives the students experience in working with ‘real world’ clients. Since it was developed in 2006 the program has produced 100 short documentaries and video ads. Some of the work can be seen at www.youtube.com/user/CommunityVoicesSA. Community organisations can find more information and apply at ofv.sa.gov.au/communityvoices or phone 1300 650 985.